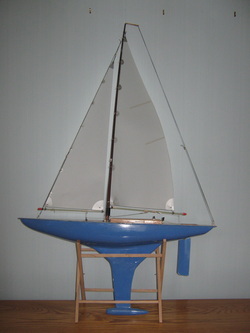 Pond yacht, the hull was bought at a car boot sale for £2, and then modified with a drop keel etc. 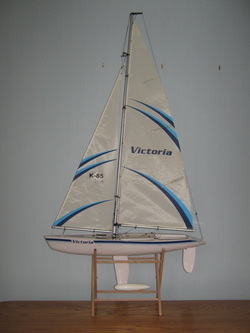 Victoria RTR Yacht, from Howes Models. 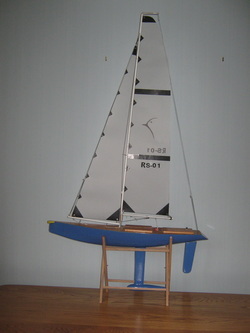 A Racing Sparrow 750, designed by Bryn Heveldtin, from New Zealand. 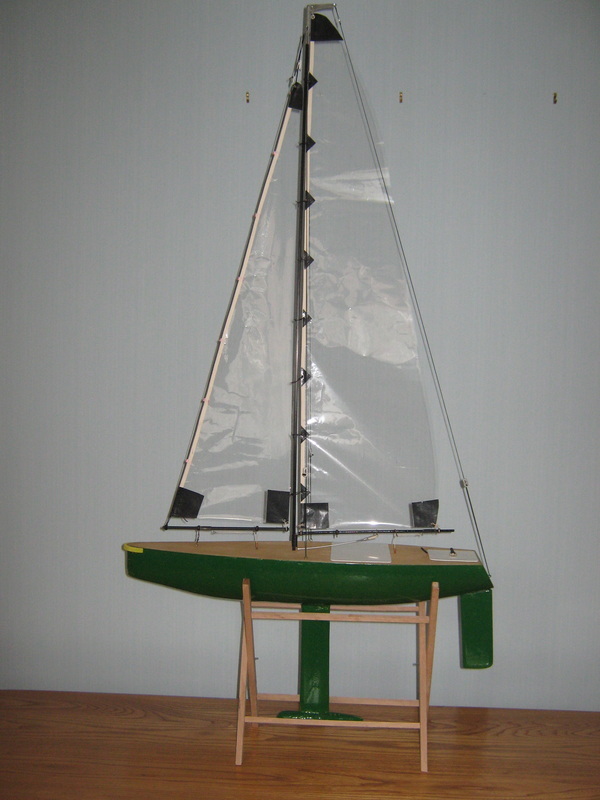 It come s with a plan and a book on how to build it. 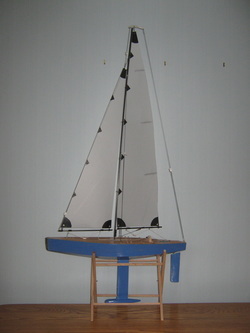 This is a fiesta size yacht of my own design, scratch built.